Ride like the Dutch is a new way to ride your bicycle: in an upright, comfortable position with no back strain. Ride like the Dutch also represents an open attitude towards the world around you and the people in it. So it’s not only about comfort, it’s about attitude too. And who else can show you how to Ride like the Dutch than the premium Dutch bicycle brand? When it comes to the evolution of the Dutch bike, we at Royal Dutch Gazelle have not only been along for the ride, we led the way. 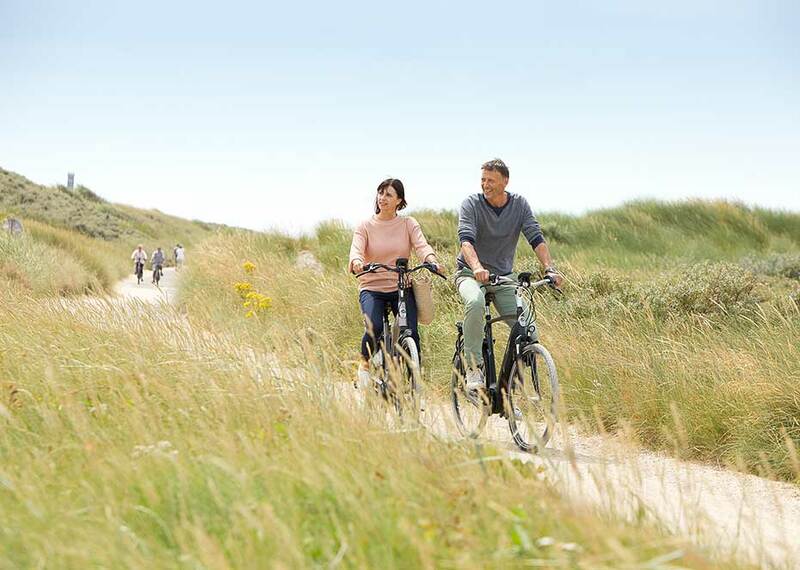 Gazelle has been making comfortable, safe and smartly designed bicycles and e-bikes for over 125 years. This makes Royal Dutch Gazelle the one and only true Dutch bike. Then, now and always. So, if you want to truly Ride like the Dutch, ringing your bell, wearing your street clothes, transporting anything from groceries to kids and using e-power to make steep hills feel as flat as Holland, a Royal Dutch Gazelle is the bicycle for you! 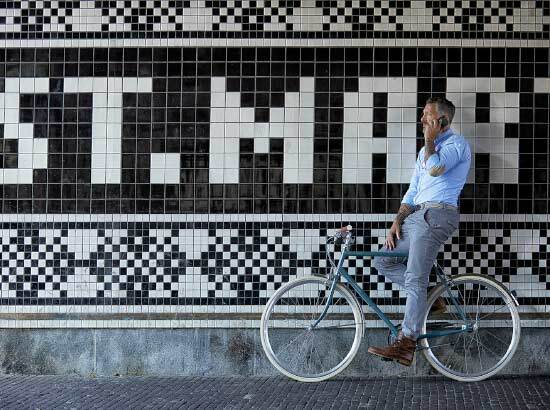 Over the course of 125 years, Gazelle has grown from a small two-man business selling three bicycles into the biggest Dutch bicycle brand selling over 250,000 bicycles a year. This makes Gazelle the market leader in the Netherlands and we are working hard at growing the organization outside the country. Bikes are still assembled in the original Gazelle factory in Dieren, We are proud of our “Royal” title, which was awarded to us by Princess Margriet in honour of our 100th anniversary in 1992, a distinction which further serves to cement our moral duty to continue to innovate, as well as remaining at the forefront with smart inventions to make cycling more enjoyable and easier. At Gazelle we produce stunning, quality bicycles as light and as comfortable possible. Our mission is to make cycling fun and easy for everyone. That’s why we keep pushing the boundaries on smart Dutch design and technical innovations. Dutch people are probably the most critical customers when it comes to bicycles, so we are confident our bikes will meet the standards of cyclists around the world. Since 1892, Gazelle has been producing the finest quality bikes which are so light and comfortable as possible. The centenary celebrations in 1992 coincided with the 8-millionth bike coming off the production line. What is more, Princess Margriet awarded the “Royal” title to Gazelle in honour of 100 years of existence. At that time, one million bicycles were being shipped every 3 to 4 years. This led to a high point in Gazelle’s history came on 7 April 1999, the day Prince Willem Alexander put the finishing touches to the 10-millionth Gazelle. Gazelle kept on going and on 31 October 2005 the 12 millionth Gazelle left the factory. Karla Peijs, the Minister of Transport, Public Works and Water Management at the time, was in attendance on that day to lend a hand with the Gazelle Easy Glider: the first Gazelle with electronic pedal assistance. The 13-millionth Gazelle was produced in 2008, with the 14-millionth soon to follow in December 2012. Princess Margriet carried out the final assembly of this 14-millionth Gazelle. Down-to-earth bike manufacturers that we are, we will simply keep on making safe, comfortable, sustainable as well beautiful bikes. In 2015 we opened our new factory, which we are very proud of.The E-bike no. 1 was introduced in 2016. This bike boasts the most up-to-date technology available, including GPS. We call it the "E-bike No.1"; it is our vision of the future of electric bicycles. Sustainability is high on the agenda at Royal Dutch Gazelle. In everything we do, we ask ourselves what the impact will be on people, the environment, the product and society. In addition to this, we are constantly seeking new opportunities in the areas of sustainability and innovation, not only within our organisation, but also outside. Gazelle is always looking for appropriate solutions both within the organisation and in collaboration with others, which regularly leads to sustainable innovations.